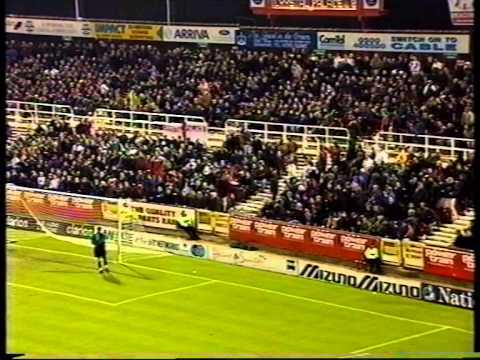 Swindon's first meetings with Palace came in the Town's only season in the United League in 1905/06 - since then, there have been many significant clashes between the two sides. 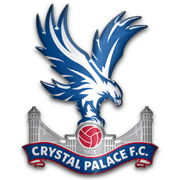 In that same season, Palace entered the Southern League, and won promotion to Division One, a division they occupied with the Town until 1920, when both teams became founder members of the new Third Division of the Football League. 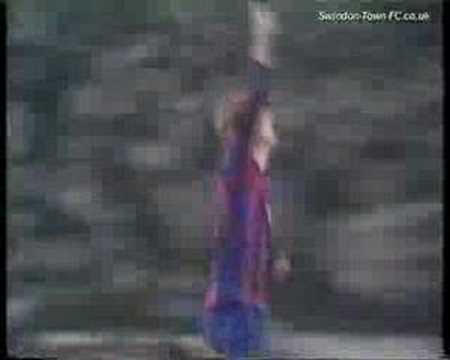 In 1910/11, the Town and Palace were vying for position at the top of the Southern League table. 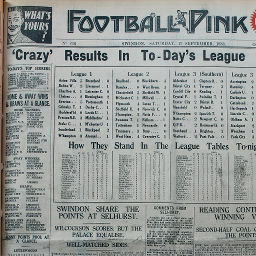 On 31st December, Swindon travelled to Sydenham for a top-of-the-table clash, the Glaziers scoring twice in the first five minutes to put Palace in control. The Town soon bounced back though, and went in at the break 3-2 up, eventually running out 5-2 winners. 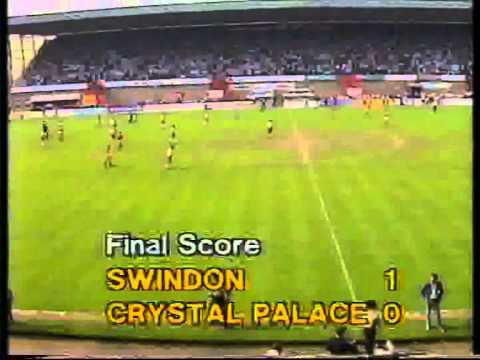 Swindon went on to win their first Southern League title, whilst Palace finished up in fourth place. Over the years, Swindon have taken more than their fair share of beatings against Palace - losing 6-1 at home in that first United League encounter, 6-1 again in 1929, and 7-0 in 1935. 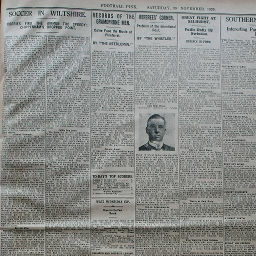 The biggest defeat came during the transitional season after the War however, when a Town side sprinkled with guests succumbed to a 10-1 defeat - equalling Swindon's biggest defeat in a competitive match. In November 1972, Palace manager and ex-Town boss Bert Head returned to Swindon to sign one of his former prodigies, Don Rogers, for �147,000. At the time, the fee broke the transfer record for both Palace and the Town. In more recent times, another major encounter came in the 1988/89 season, when the two sides met in the Division Two play-off semi-finals. 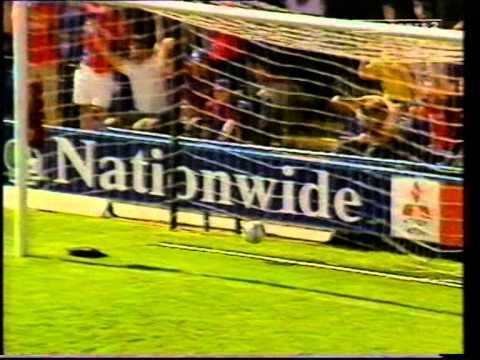 In a tight first leg at the County Ground, a Glyn Hopkins own goal gave the Town a 1-0 lead, but goals from Mark Bright and Ian Wright in the second leg at Selhurst Park handed Palace a 2-1 aggregate victory. 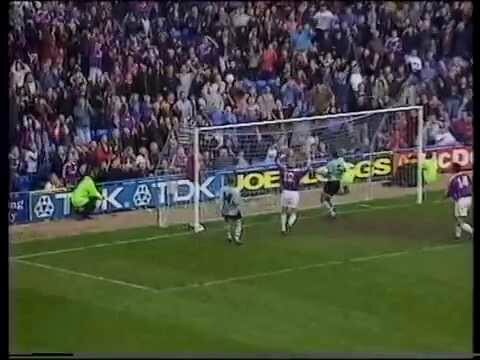 They went on to beat Blackburn in the final to win promotion to Division One. One-nil up, then 3-1 down, relegation threatened Town come back to draw at Selhurst Park, in a match covered on ITV's The Big Match programme. After a goalless first half, Steve White gives Swindon the lead - but the lethal Wright and Bright combination both net within the space of four minutes to turn the game on its head. Duncan Shearer benefits from an awful goalkeeping mistake to net his first goal for the Town - but Palace's Bright & Wright combination strike again to give the visitors a first leg lead. The Town take a 1-0 lead back to Selhurst Park, courtesy of an own goal - but it could have been much more. 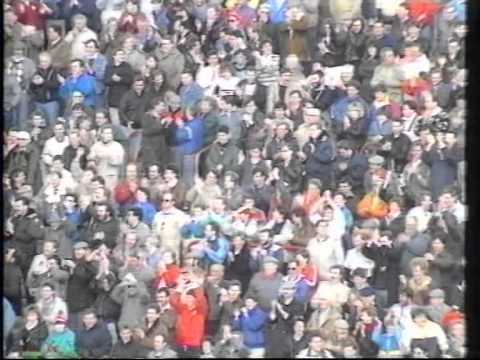 Ten minutes of coverage from the Play-Off Semi-Final, in which the Town take a 1-0 lead back to Selhurst Park, courtesy of an own goal. 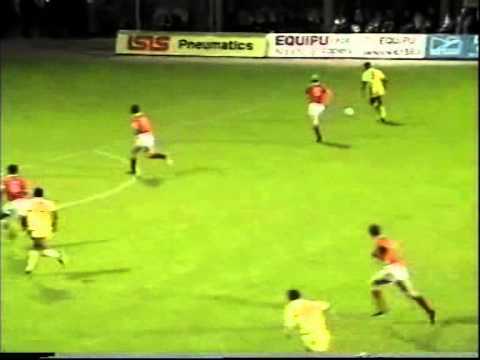 In what was to be Lou Macari's last match in charge, an early Mark Bright goal puts Palace on level terms, and Ian Wright secures victory with a second goal before half time, to end the Town's First Division dreams. 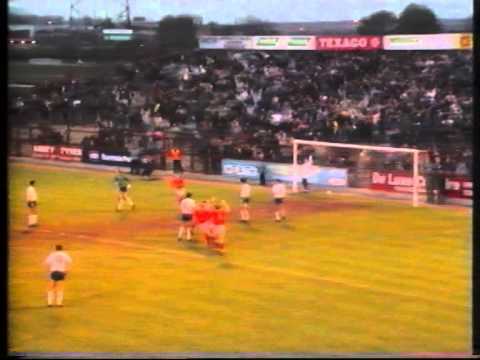 The first time that the Town are shown live on Sky TV - two years before the moneybags Premier League begins - Ossie Ardiles' side knocked out of the Zenith Data Systems Cup in the Area Semi Final by Crystal Palace, through a first half goal from Andy Gray. A first half goal from Andy Gray brings the Town's run in the Rumbelows Cup to an end. 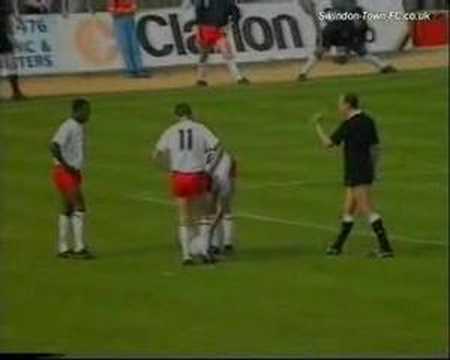 Swindon hold on for the three points at Selhurst Park despite Mark Walters' sending off in a bruising encounter, during which the Town display all of Steve McMahon's fighting spirit. 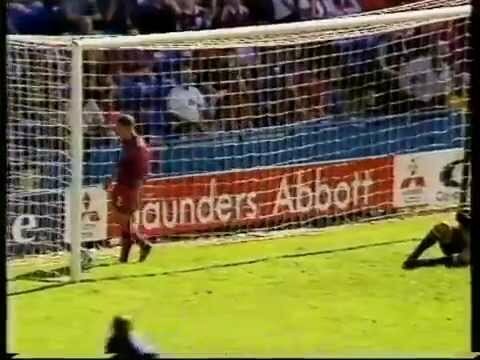 Palace's poor away form continues - George Ndah scoring against his former club, before Mark Walters' penalty seals victory over Terry Venables' side. 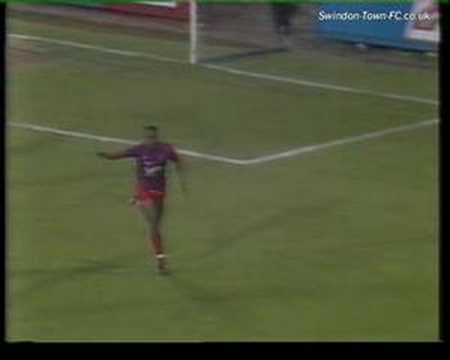 Swindon make a great leap towards First Division survival - Iffy Onuora's tap in leaving the Town seven points from the relegation zone with three games remaining. Having previously not won at Selhurst Park for over forty years, Swindon make it three wins on the bounce at South Norwood - Giuliano Grazioli and Iffy Onuora netting in a 2-1 win. 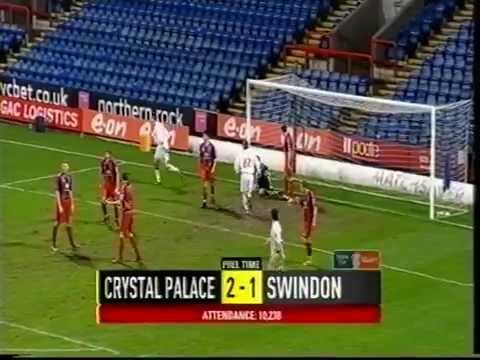 Alan Reeves gives Swindon the lead - but after Clinton Morrison nets an equaliser, Palace are luckily awarded a second when Town goalkeeper Frank Talia is challenged - two minutes later, a penalty puts the game beyond the home side, and it eventually finishes 4-2. The Town give a decent performance at Selhurst Park in the cup, but have only a late Jerel Ifil consolation goal to show for it, as Palace go through to the Fourth Round. 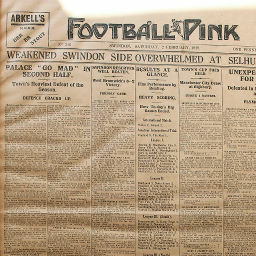 Click to view a newspaper report of Swindon's 1-6 defeat at Crystal Palace in the 1928-1929 season. 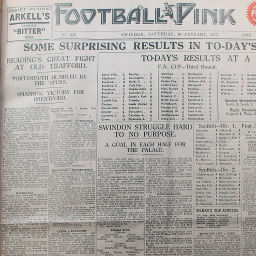 Click to view a newspaper report of Swindon's 3-1 win against Crystal Palace in the 1929-1930 season. 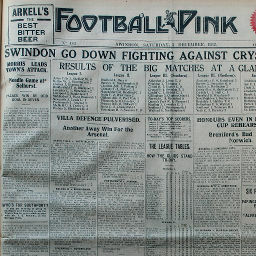 Click to view a newspaper report of Swindon's 0-1 defeat at Crystal Palace in the 1929-1930 season. 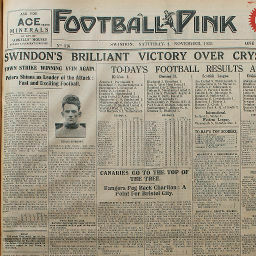 Click to view a newspaper report of Swindon's 3-2 win against Crystal Palace in the 1931-1932 season. 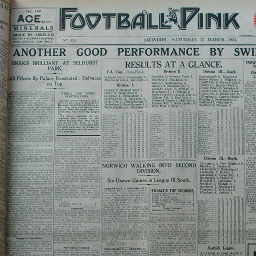 Click to view a newspaper report of Swindon's 3-4 defeat at Crystal Palace in the 1932-1933 season. 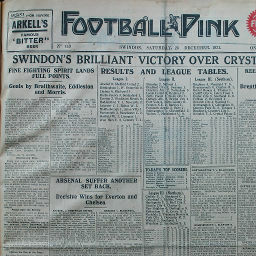 Click to view a newspaper report of Swindon's 3-2 win against Crystal Palace in the 1933-1934 season. 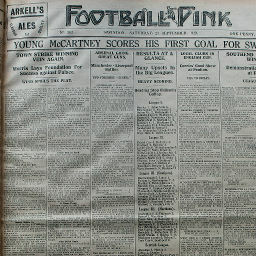 Click to view a newspaper report of Swindon's 0-0 draw at Crystal Palace in the 1933-1934 season. Click to view a newspaper report of Swindon's 0-2 defeat at Crystal Palace in the 1936-1937 season. 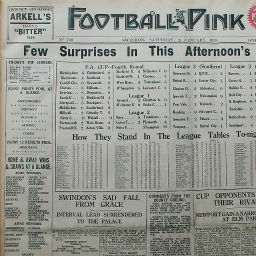 Click to view a newspaper report of Swindon's 4-0 win against Crystal Palace in the 1936-1937 season. 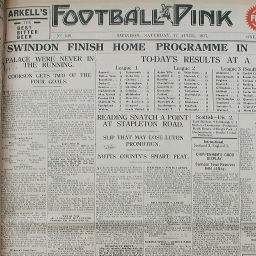 Click to view a newspaper report of Swindon's 1-1 draw at Crystal Palace in the 1938-1939 season. 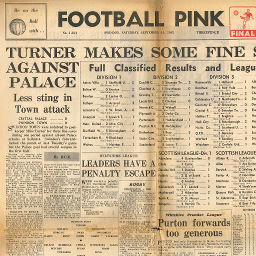 Click to view a newspaper report of Swindon's 2-2 draw against Crystal Palace in the 1938-1939 season. Click to view a newspaper report of Swindon's 1-4 defeat at Crystal Palace in the 1946-1947 season. 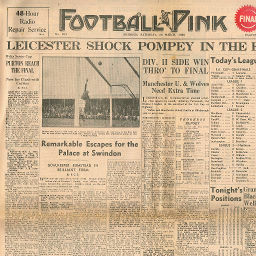 Click to view a newspaper report of Swindon's 1-0 win against Crystal Palace in the 1946-1947 season. 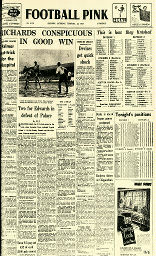 Click to view a newspaper report of Swindon's 0-0 draw against Crystal Palace in the 1947-1948 season. 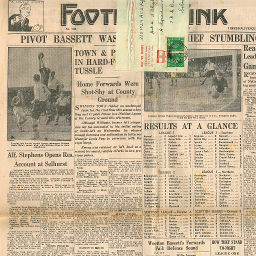 Click to view a newspaper report of Swindon's 1-1 draw at Crystal Palace in the 1947-1948 season. 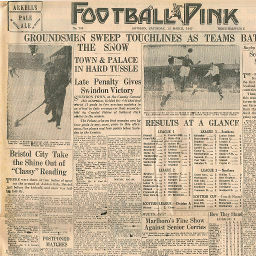 Click to view a newspaper report of Swindon's 1-1 draw at Crystal Palace in the 1948-1949 season. 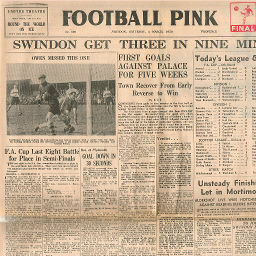 Click to view a newspaper report of Swindon's 1-0 win against Crystal Palace in the 1948-1949 season. 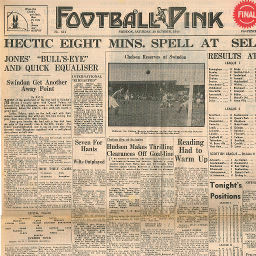 Click to view a newspaper report of Swindon's 2-2 draw at Crystal Palace in the 1949-1950 season. 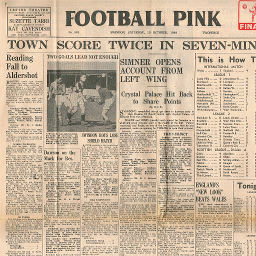 Click to view a newspaper report of Swindon's 4-2 win against Crystal Palace in the 1949-1950 season. 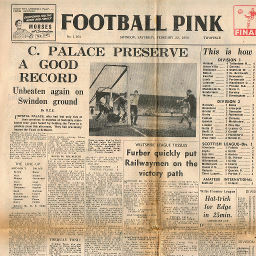 Click to view a newspaper report of Swindon's 2-0 win against Crystal Palace in the 1950-1951 season. 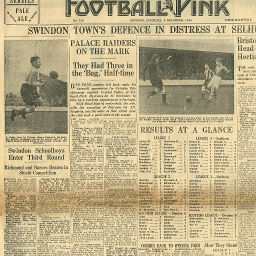 Click to view a newspaper report of Swindon's 0-2 defeat at Crystal Palace in the 1950-1951 season. 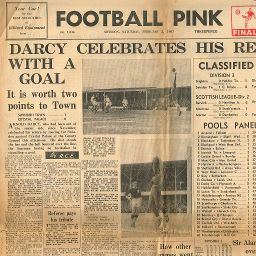 Click to view a newspaper report of Swindon's 1-0 win at Crystal Palace in the 1951-1952 season. 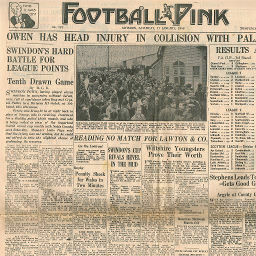 Click to view a newspaper report of Swindon's 3-6 defeat against Crystal Palace in the 1952-1953 season. 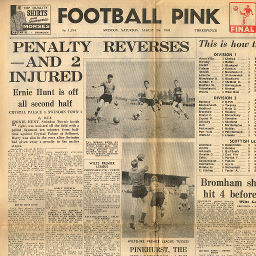 Click to view a newspaper report of Swindon's 2-3 defeat at Crystal Palace in the 1953-1954 season. 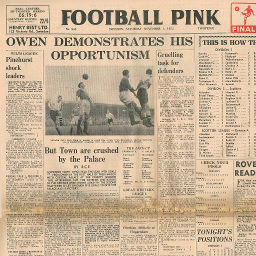 Click to view a newspaper report of Swindon's 1-1 draw against Crystal Palace in the 1953-1954 season. 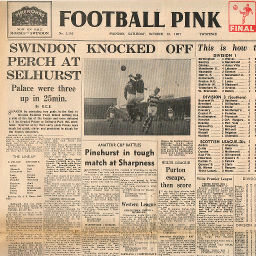 Click to view a newspaper report of Swindon's 0-0 draw at Crystal Palace in the 1954-1955 season. 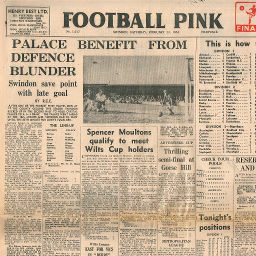 Click to view a newspaper report of Swindon's 0-2 defeat against Crystal Palace in the 1954-1955 season. 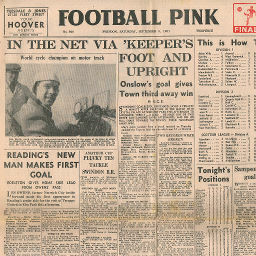 Click to view a newspaper report of Swindon's 0-0 draw against Crystal Palace in the 1954-1955 season. 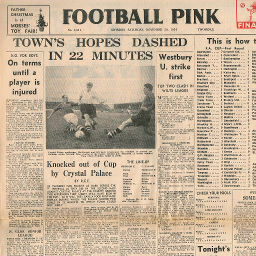 Click to view a newspaper report of Swindon's 0-0 draw at Crystal Palace in the 1956-1957 season. 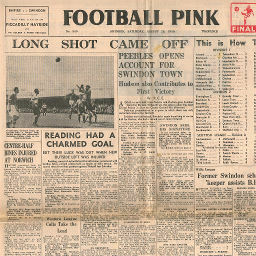 Click to view a newspaper report of Swindon's 3-1 win against Crystal Palace in the 1956-1957 season. 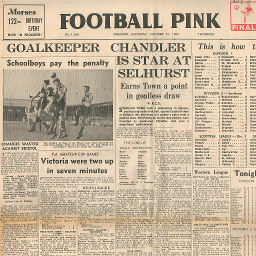 Click to view a newspaper report of Swindon's 1-4 defeat at Crystal Palace in the 1957-1958 season. 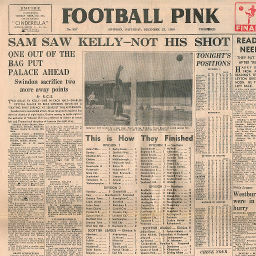 Click to view a newspaper report of Swindon's 0-0 draw against Crystal Palace in the 1957-1958 season. 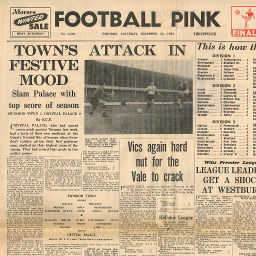 Click to view a newspaper report of Swindon's 1-3 defeat at Crystal Palace in the 1961-1962 season. 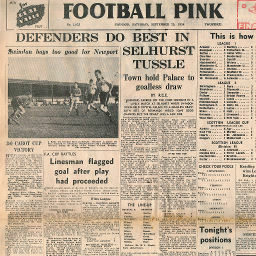 Click to view a newspaper report of Swindon's 5-0 win against Crystal Palace in the 1961-1962 season. 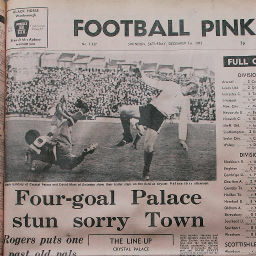 Click to view a newspaper report of Swindon's 0-0 draw at Crystal Palace in the 1962-1963 season. 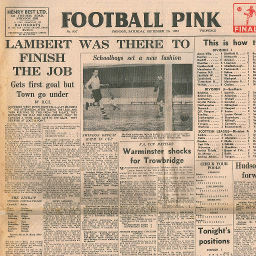 Click to view a newspaper report of Swindon's 1-0 win against Crystal Palace in the 1962-1963 season. 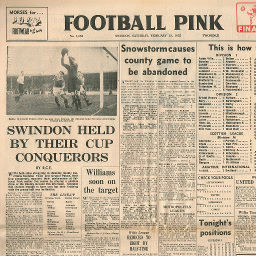 Click to view a newspaper report of Swindon's 2-4 defeat at Crystal Palace in the 1973-1974 season. 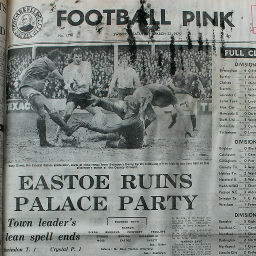 Click to view a newspaper report of Swindon's 0-1 defeat against Crystal Palace in the 1973-1974 season. 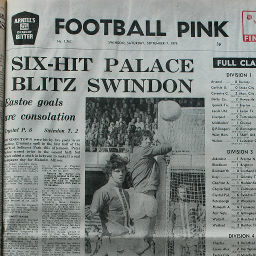 Click to view a newspaper report of Swindon's 2-6 defeat at Crystal Palace in the 1974-1975 season. 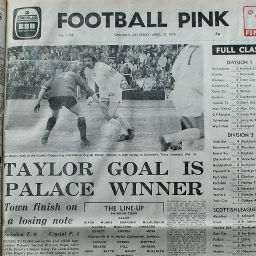 Click to view a newspaper report of Swindon's 1-1 draw against Crystal Palace in the 1974-1975 season. 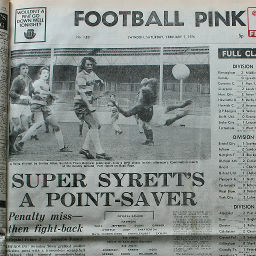 Click to view a newspaper report of Swindon's 3-3 draw at Crystal Palace in the 1975-1976 season. Crystal Palace win 2-1 on aggregate. Crystal Palace win 4-1 on aggregate.